Mold Max Series Mold Max silicones are used around the world for a variety of industrial and art-related applications including architectural restoration, prototype model development, reproducing sculpture, creating special effects and themed environments. OOMOO Perfect for beginners, hobbyists and craft makers, OOMOO silicones are easy to use and inexpensive. 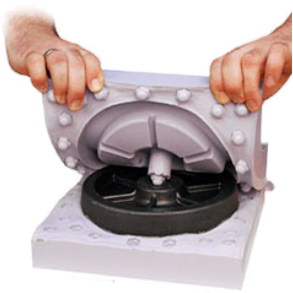 They don’t require special equipment to process and are ideal for making one-piece or two-piece block molds. 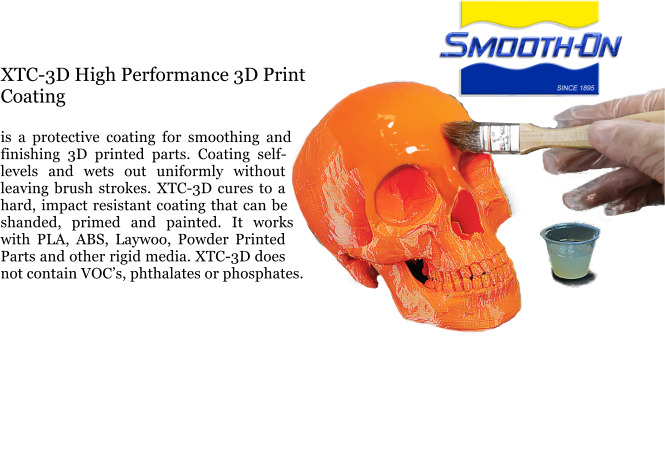 Smooth-Sil Smooth-Sil silicones are ideal for making production molds of any configuration, large or small. Urethane, urethane foams, epoxies, polyester resins, wax and low-melt metal alloys can be cast into Smooth-Sil without application of release agent. SORTA-Clear SORTA-Clear 18 and 40 are premium water white translucent silicones that cure at room temperature. They feature exceptional tear and tensile strength. Rubber clarity is especially useful when extracting models via cutting. SORTA-Clear rubber is ideal for making prototype, jewelry or other molds of any configuration where model visibility is important. SORTA-Clear 18 and 40 are also food safe and used to make custom chocolates, candy, cakes and more. Mold Star Mold Star 15, 16 and 30 silicones are easy to use and feature relatively low viscosity meaning vacuum degassing is not required. Mold Star cures to a strong, resin resistant rubber that has good tear resistance and exhibits very low long-term shrinkage. Molds made with Mold Star silicones will last a long time in your mold library and are good for casting wax, gypsum, resins, and other materials. TASK 2 & TASK 3 - Low viscosity, fast cure resins made especially for rapid prototyping environments. TASK 4 - With exceptional flexural strength, TASK 4 plastic was developed to be unbreakable when cast in ultra thin-wall sections - as thin as a sheet of paper. TASK 5 & TASK 6 - Time tested economy performance resins. TASK 7 Flame Out - Low viscosity, fast set resin that meets UL 94 V-O requirements for flame resistance. TASK 8 - Heat resistant urethane plastic that can withstand temperatures up to 263°F/129°C. 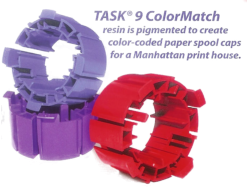 TASK 9 ColorMatch - Readily accepts color pigments and yields parts with extraordinary tensile strength. TASK 11 - Semi rigid resin originally developed for high impact tooling (drop hammer punch). It also offers good abrasion and chemical resistance. TASK 12 - Virtually indestructible semi-rigid resin that offers extraordinary handling strength and impact resistance. 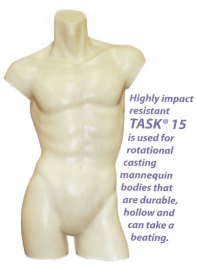 Castings are tough, durable and UV resistant. TASK 13 & Task 14 - High impact resistance, low cost semi-rigid plastics are used for a variety of industrial applications including fast mold making, prototyping, durable miniatures, black-colored props and special effects. TASK 15 - Exhibits exceptional impact strength when cast in thin-wall sections TASK 15 features a gradual cure profile, making it ideal for rotational casting applications. TASK 18 - Relatively low viscosity aluminum filled urethane resin that was developed specifically for making short run vacuum forming molds. TASK 21 - Described by many as having similar performance and mechanical characteristics to ABS plastic, with high compressive and flexural strength as well as good shock absorbance. Crystal Clear Crystal Clear resins are unique water clear plastics that have been used for years to create spectacular large scale display castings (10 tons and larger), prototype models, lenses, ice effects for movie special effects and much more. There are different working time/demold time formulas to choose from depending on requirements. Impactful color effects are made with SO-Strong color tints or Ignite pigments. SMASH! SMASH! Plastic is a urethane liquid plastic designed to shatter/crumble on impact (”breakaway glass”). Smash is water clear and, once fully cured, shatters like glass. It can be cast solid in thin sections to make window panes or rotationally cast to form hollow bottles, jars or other glass-like objects to be used as breakable props for film and stage productions. Simpact 85 Is a low odor, fast-setting Shore 85A urethane that offers very high tear strength, impact resistance and wear resistance. Simpact 85 is phthalate free, mercury free and MOCA free. Cured rubber has exceptional performance characteristics and dimensional stability. Simpact 85 can be colored with So-Strong or Ignite colorants. Simpact 85 is suitable for making impact resistant props, prototypes and display pieces. Plasti-Paste II Plasti-Paste II is a low-cost fiber-filled resin that holds a vertical surface without sagging and cures to a strong, durable and lightweight plastic. Developed originally as a mother mold material, this plastic can also be used for creating themed environments or special effects. Cured plastic can be sanded, machined and painted with acrylic enamel paints. 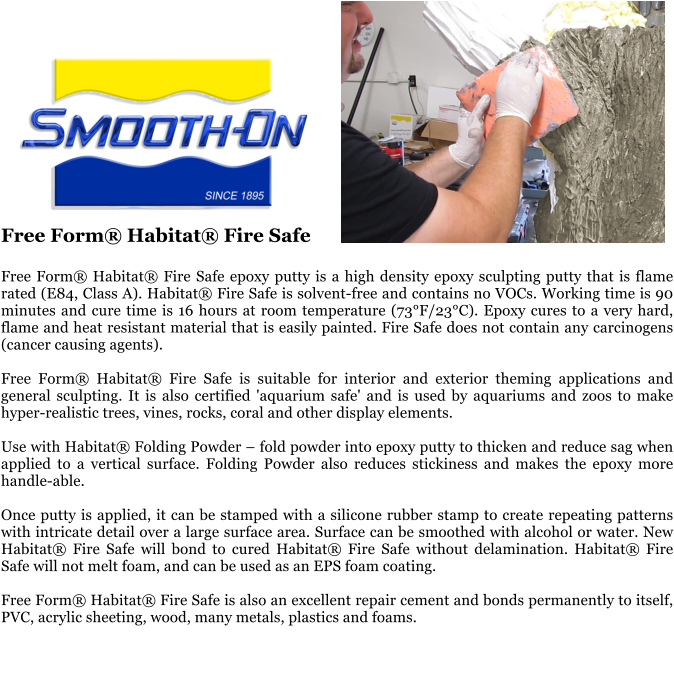 Shell Shock Shell Shock Fast and Slow are thixotropic plastics that self-thicken when mixed and can be brushed onto a variety of surfaces or into rubber molds. Material cures at room temperature with minimum shrinkage to a hard, durable plastic. Fully cured castings are rigid and can be sanded, primed and painted. Shell Shock is ideal for making fast, lightweight rigid molds for creating silicone appliances and effects. FOAM-iT! FOAM-iT! expanding foams are easy to use and cure rigid and strong. They can be used as a lightweight casting material, backfill material for encapsulation or to make hollow castings. 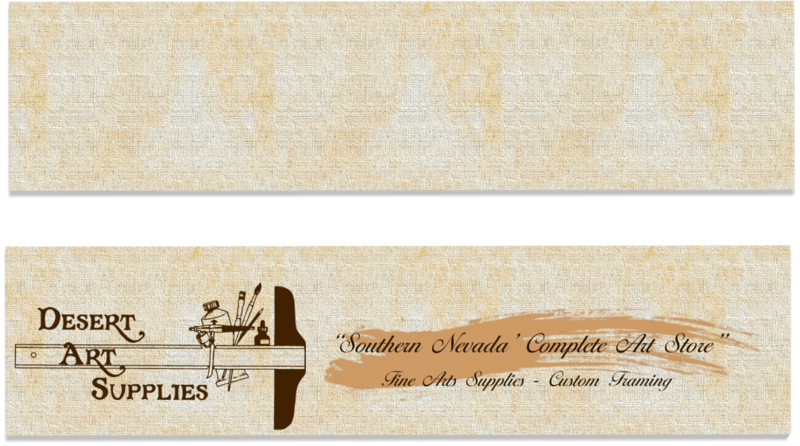 you can color them with SO-Strong color tints for a variety of art/craft, industrial or special effects applications. FlexFoam-iT! FlexFoam-iT! expanding foams cure flexible and durable. They are lightweight and can be used for padding/cushion material or to make props and special effects. EpoxAmite EpoxAmite 100 Epoxy Laminating System is an easy-to-use liquid epoxy system formulated for a wide variety of fabrication applications. EpoxAmite 100 laminating system is unfilled, low in viscosity, odorless and cures at room temperature. Cured epoxy displays exceptional physical performance properties. It can be sanded, shaped, machined, drilled, tapped and painted. EpoxAcast EpoxAcast castable epoxies are used for a variety of industrial applications. They are easy to use, contain no VOC’s and are solvent free. Compared to Smooth-Cast or TASK urethane plastics, EpoxAcast epoxies are generally harder, have higher compression strength as well as higher heat and abrasion resistance. They are also widely used for electrical encapsulation and bonding applications. Tarbender Tarbender is a UV resistant clear liquid epoxy that can be poured over a variety of surfaces to provide a strong, high gloss coating. Parts A and B mix together and flow easily. Tarbender epoxy cures at room temperature and offers high impact resistance. Tarbender is an excellent wood bar top coating and can also be poured over plaster, concrete, foam, fabrics, etc. 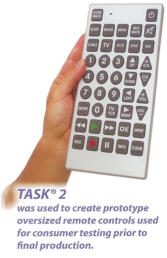 You can use Tarbender to encapsulate 3-D objects or coat flat objects, paper and more. Metalset A4 Metalset A4 is a powerful metal-filled epoxy that bonds to porous or non-porous surfaces and can be applied to vertical surfaces without sagging. Cured epoxy can be machined, sanded, etc. A4 has been used for years by all branches of the U.S. Military. Super Instant Epoxy Super Instant Epoxy bonds to metals, wood, glass, masonry and hard plastics in 5 minutes.